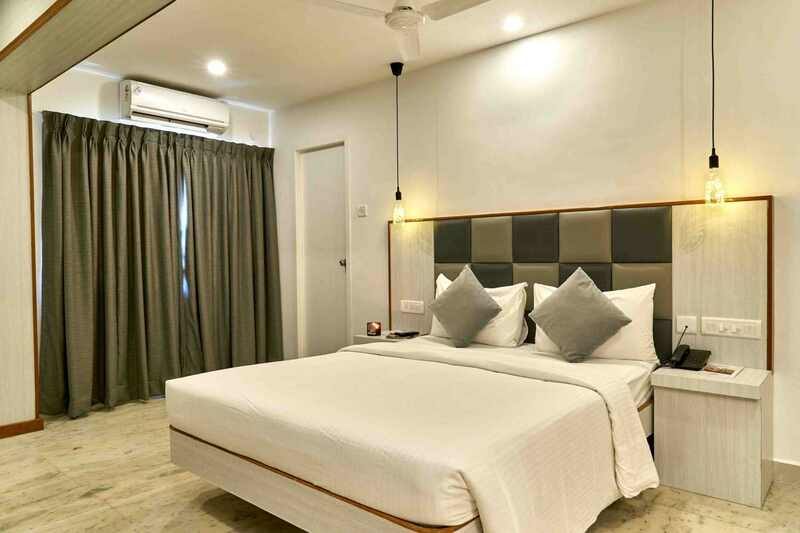 When you are on a holiday or an adventurous tour in a great location like Mahabalipuram, you must seek accommodation in Mahabalipuram that takes care of all your requirements and hospitality needs. 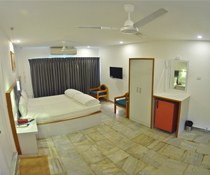 Our fully furnished rooms in Mahabalipuram treat you royally with room service time to 7.00 AM to 11 Pm and top class hospitality. Our friendly staff makes sure that you feel like being in your home but with many janitors taking care of you all the time. Our spacious hotel rooms in Mahabalipuram are surrounded with natural grandeur, mountains and lush natural environ to refresh you for an adventurous day. Our hotel is strategically located and all the major attractions of town are situated in close vicinity. It is easy to get local conveyances to visit various temples and historical monuments of the town from our hotel rooms. GST - 18% ( Except tariff below 2500 which is 12%). Check in & Check out time: 12.00 noon. We also make sure that you and your family stays pleasant in our hotel rooms with best of the entertainment options. Our accommodations keep you away from regular hustles of the town in a serene environment where you can relax your body and mind. Our accommodation is the best place to have chilled out holidays. When you want to stay inside, our hotel rooms are spotlessly clean with full room service ensuring that you do not need to step out at all; and when you are in mood for an outing, just stroll or laze around the sunny beaches and enjoy best of the local cuisines. Making your holiday a splendid royal experience is easy with our luxuriant accommodations of hotels in Mahabalipuram with a tariff that fits well in your budget. ©2018 www.hotelmamallaheritage.com, all rights reserved.